Has your career been a great success? What about your colleagues and candidates? Can they draw a straight line from the heady dreams they had as teenagers to the lofty positions that they hold today? Of course not. No-one’s life turns out as they planned. You set out in one direction and quickly hit obstacles and diversion signs. You get sidetracked and misdirected and distracted, and before you know it, years have gone by, and you haven’t achieved the things you wanted. Does that constitute failure? I’ve been working with Sky TV’s rugby-based show ‘School of Hard Knocks’ for a few years, along with rugby legends Scott Quinnell and Will Greenwood, and one thing that we see every year is a group of young men who literally have to learn to get up when they get knocked down. Doing that metaphorically when you lose a deal or miss out on a project is one thing, doing it literally in a cold, wet, muddy field, day after day, is quite different. Life is going to throw obstacles in your way, and there’s no easy way to learn the most important lessons. What determines success is how quickly you can get going again. Whether it’s a rugby tackle or a candidate interview or a new business pitch, it’s not your body that gets you back on your feet – it’s your mind, and there are some ways that you can learn to do that. Sammy, one of the disadvantaged young men we worked with, said, “You can change whatever you want to do in your life and the amazing thing is how quickly you can change, it just like that, with a click of the finger. If you stay positive and stay strong, the future is bright”. We create stories about our lives, and those stories become a reality that can seem hard to change. Whether you see yourself as a winner or a victim, you’ve made that your reality, and all you have to do is change the story. Mark Prince, a former boxing champion who tragically lost his son to knife crime and became a campaigner for knife safety, says, “Life can bang you up. What are you going to do? Are you going to throw in the towel? You need to remember that you’re still living, you’ve still got life, if I can do it then anybody can”. The game of rugby ends when the time is up, not when the players have had enough. If you see failure as an end, you’ll stop. What you need is a bigger goal, something beyond your current position. It’s easy to assume that anyone running a successful business would have that bigger goal always in mind, but it’s easy to lose sight of what’s important when you’re solving day to day problems. And once the rugby game is over, what then? Another one, and another, until the end of the season. And at the end of the season? Time to rest and prepare for next year’s season. A game can end, but the game is never over. No-one really wins or loses; the balance just shifts a little from one year to the next. This is the fundamental attitude that enables you to grow your business through failure, because you can’t grow a business on success. I know that you’ve focused on targets and goals and ‘winning’, but actually success only shows that you’re playing within your comfort zone, and you’ll learn nothing from that. Failure means that you took a risk and did something new, and in order to survive, you learned. The more you fail, the faster you learn and the faster you grow. The easiest thing to do when you’ve taken a wrong turn is to beat yourself up about it. You probably think that’s better than having other people do it, but the reality is that no-one cares about your mistakes, they’ve got their own to worry about! 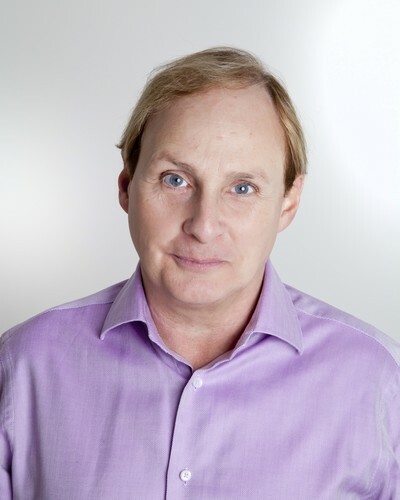 Ultimately, what failure can help you to understand is that, on the rugby pitch, your competitor is not the player in the other team, and in business, your competitor is not the other company. Your competitor is yourself. Master that, and your life still won’t turn out as you’d planned. It will be even better. 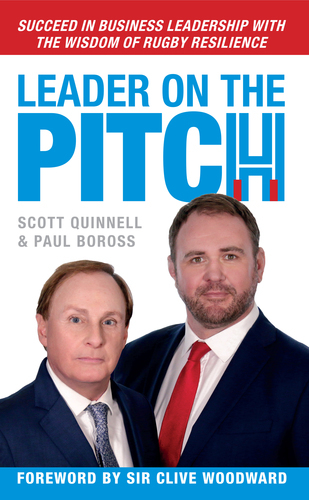 Leader on the Pitch, co-written with Scott Quinnell, is available now £7.99 from Amazon.